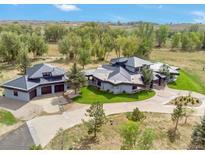 Find Niwot, CO Homes for sale. View Photos, Maps and MLS Data Now! Overbrook - Lower level has walk out, two bedrooms ensuite, and rec room.Three car garage with extra room for storage and work areas. MLS#4077511. RE/MAX of Boulder. Award winning, unbelievably peaceful & private outdoor waterfall, pond and sauna. For those who value excellence! MLS#5728563. COLORADO LANDMARK REALTORS. Lake Valley Estates - Enjoy private lake amenities, tennis and it's only 8 miles to the Laughing Goat. MLS#6390140. RE/MAX of Boulder. Easy walk to Old Town Niwot where you can enjoy shops, coffee, and microbreweries! MLS#5476644. Coldwell Banker Residential 14. Two wells and 25 shares of Left Hand. MLS#5898969. COLORADO LANDMARK REALTORS. Easy commute to Boulder and beyond. MLS#5292184. RE/MAX ALLIANCE. 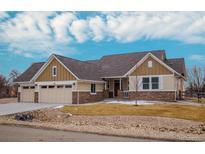 Johnson Farm - Great location within walking distance to Niwot amenities, restaurants, market, coffee shops, breweries,& trails MLS#2627202. 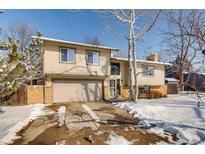 NIWOT REAL ESTATE INC.
New roof, Move in ready - perfect location! MLS#9844037. COLORADO LANDMARK REALTORS. Johnson Farm - Newly remodeled kitchen with high-end appliances, refinished hardwood floors and brand new carpet throughout the lower level. MLS#1917735. HomeSmart Cherry Creek Properties. Sq. Ft. Upper includes both lofts. MLS#6047302. RE/MAX of Boulder. Hillcrest - What an amazing location and a beautiful home! MLS#3031043. Keller Williams 1st Realty. North Rim - The tranquil 1/2 acre yard contains mature landscaping & organic garden. MLS#4461210. Berkshire Hathaway HomeServices Rocky Mtn Realtors. Situated on a huge 3/4 acre lot backing to a private greenbelt w/mountain views & a large covered deck just 8 miles from Boulder in charming Niwot MLS#4372344. MB TEAM LASSEN. This is Colorado living at its best! MLS#9251114. Porchlight Real Estate Group. Colorado living at it's finest. MLS#9494064. COLORADO LANDMARK REALTORS. North Rim - Don't miss this opportunity, as homes like this don't come around very often! Motivated Sellers! MLS#2409449. SELECT REALTY LLC. Enjoy Niwot's excellent schools,trails,bike paths,coffee shops,boutique restaurants! MLS#3390290. Coldwell Banker Residential 14. Legend Ridge - Terrific lower level game/rec room w/ gas FP, kitchenette, media & exercise rooms, bed & bath! MLS#2031426. RE/MAX of Boulder. Legend Ridge - See it now before it's gone! ! MLS#6350909. RE/MAX ALLIANCE. Legend Ridge - Oversized 4-Car Garage for all your toys too! MLS#6394890. RE/MAX of Boulder.